Skype is one of the most popular online communication apps, and for good reason—it allows users to seamlessly communicate through multiple channels, including: email, instant messaging (IM), VoIP (voice over IP), voicemail, file transferring, video conferencing and web conferencing. This makes Skype for business particularly attractive for companies looking to streamline their long-distance communication. Skype’s rapid success, coupled with its huge corporate potential, prompted Microsoft to purchase the company in 2011 in a deal worth well over $8 billion. 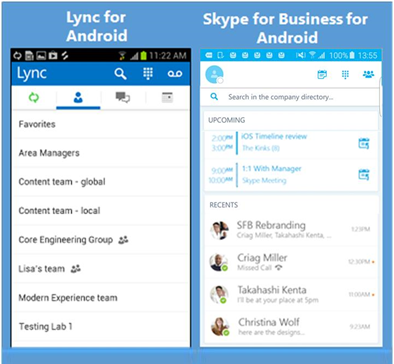 And in 2015, Microsoft released Skype for Business (SFB), formerly known as Microsoft Lync Server, to specifically address corporate communication needs. Microsoft’s founding ideology behind SFB was to provide a comprehensive enterprise communication solution for all. And one could argue that it succeeded. 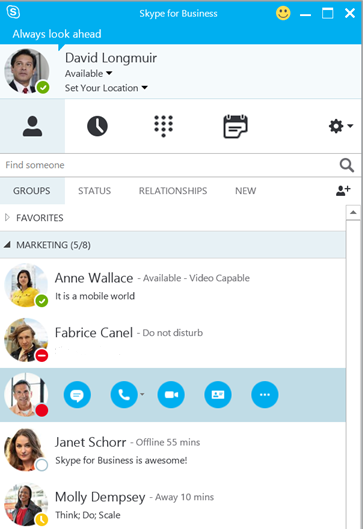 With its unique blend of online business communication options, Skype for Business allows you to communicate however you want, wherever you want, and with however many people you need. In fact, you can add up to 250 people to your video conferences—more than 10 times the limit on the ordinary Skype app. SFB is compatible with a number of mobile and desktop devices, as well as many modern web browsers. This, combined with the overwhelming popularity of Skype, allows your employees to connect with each other from virtually anywhere in the world and on any device. Skype for Business lets you utilize your existing legacy PBX until the contract expires, which significantly reduces your phone bill. And if you wish to call someone who isn’t online, you can dial them up via Skype Credit, which costs a lot less than the fees charged by traditional phone companies. The app makes it possible for businesses to secure the enterprise forum by only allowing authorized users into the forum. Skype for Business also gives businesses greater control over user authentication and security. For example, Skype for Business administrators can limit employees to utilizing only approved devices that meet their corporate security requirements. Persistent chat rooms. Easily access, monitor, and participate in dedicated chat rooms for specific topics, such as team projects. High-definition video. Makes it possible to hold high quality video conferences/meetings minimizing video lags or inferior quality footage. Compatibility with third-party services. Skype for business is compatible with Polycom and Cisco endpoints via RealConnect for Office 365. The ability to share files, screens, and applications, as well as use a whiteboard, within a communication session. Enhanced presenter controls that are optimized for meeting formats, audience size, and content source. Option to control your on-forum presence, based on Outlook Calendar or Out of Office status. Push notifications and support for external devices, such as keyboards. Auto-attendant system that can answer and further route any inbound calls. The incorporation of open video coding standards, such as the H.264 video codec. The ability to record and archive messages and conference sessions. Microsoft offers multiple options for deploying SFB, such as installing it on premises or using a hybrid installation with cloud servers. The deployment can support anywhere from 4,000 to 100,000 users. However, for larger deployments, Microsoft recommends using multiple servers to balance the load and facilitate availability and functionality. 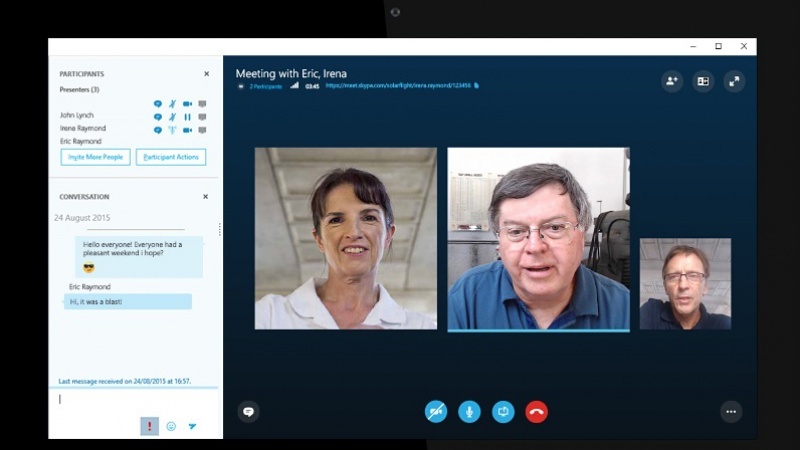 Businesses looking to incorporate Skype for Business with their existing PSTN/ISDN must make use of the Mediation Server – in addition to an IP PBX gateway. The gateway forms the cessation point for the ISDN and further communicates with the platform using SIP, and allows for the encryption and decryption of the Secure Real-time Transport Protocol where the Skype for Business server resides. However, the deployment criteria of the application demands the desktop to at least function a Windows 2012 operating system on a 64-bit server. Mobile and remote users require an edge server to support the application, whereas external users also require an edge server to download any content from the forum, or files from the Address Book Server. The application was also launched for smartphone users to facilitate on-the-go communication. The desktop and mobile app don’t differ much in terms of features—be it for calls, messages, conferences, or file sharing—except that mobile users benefit from using the application wherever they are. Modern-day businesses are in need of a communication platform that provides increased connective feasibility without compromising on enterprise-grade security. Skype for Business is Microsoft’s offering in an attempt to provide a comprehensive solution to such problems. While the final verdict rests with the users, the added options coupled with the enhanced security makes Skype for Business an optimal fit for the corporate world.